White trillium, or wakerobin, is a showy perennial wildflower that occurs in Virginia and most of the eastern states. 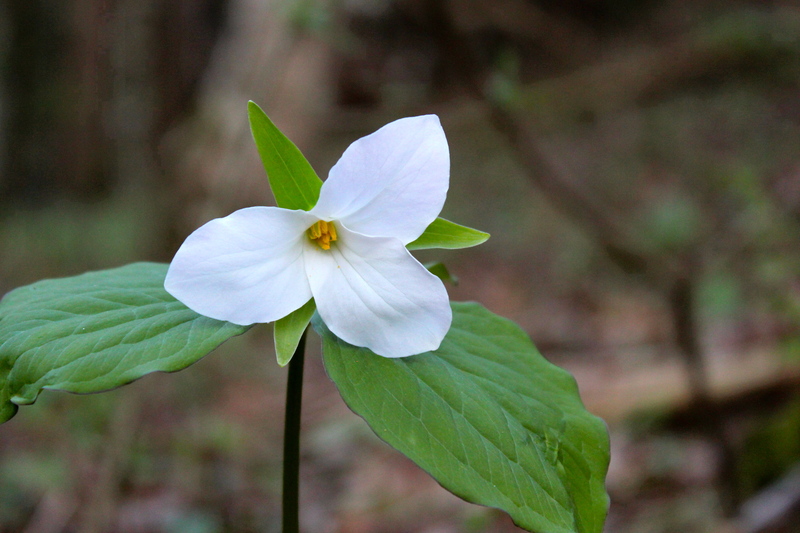 The single flower of the trillium plant opens in late March and early April. In some areas, trillium can be found growing in great profusion on the forest floor, before the leaf canopy emerges. The beautiful white flowers fade to pink as the flowers age; the plants eventually go dormant in summer. Ants are attracted to a fleshy organ that develops around the mature seeds. The insects carry the seeds to their nests, and in doing so, the seeds are effectively planted.